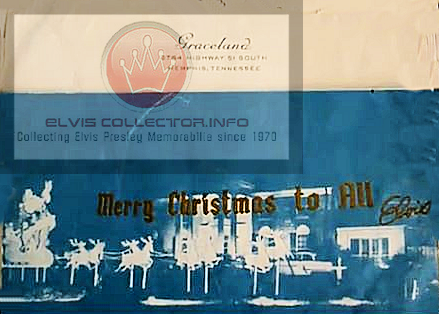 Personally, and on behalf of everyone at www.ElvisCollectorWorldwide.freeforums.org, www.ElvisCollector.info, I wanted to say THANK YOU and wish everyone a; wonderful, happy, and blessed Thanksgiving. To our military, and their loved ones/family members, THANK YOU for your service to our Country. To my children, family, loved ones, and friends, please know that: I love you, I miss you, I pray for you, I long to see you, I want only the best for you, and you are always on my mind…and in my heart. Far too many people, articles, DVDs, online posts, and TV commentary put an emphasis on (a) how Elvis died and/or (b) factually incorrect assumptions about how he lived the last few years of his life. Though Elvis gained wealth beyond imagination, worldwide fame, success in every aspect of the entertainment fields (i.e. singing, TV appearances, life performances, movies, etc. ), and a legacy that will endure having been burned into the pages of history what is commonly overlooked it the great amount of sadness and heartache he endured from the moment of his birth through the last days of his life and in-between. 1. Elvis was born after his twin brother, who was born first, died at birth (i.e. stillborn). Having heard about this, and seeing how much it pained his mother and father, throughout his childhood it made a lasting impression on Elvis and saddened him greatly. 2. 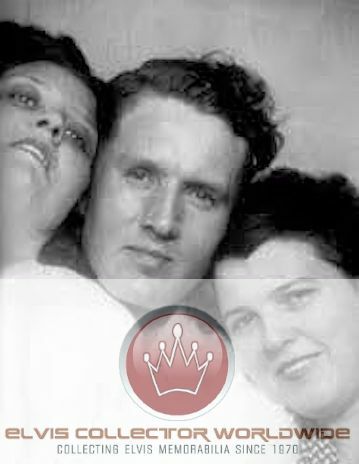 Elvis Mother, Gladys Love (Smith) Presley, was pregnant with a child AFTER Elvis was born but (sadly) miscarried. She was told she could never have a child again so Elvis would be her only living child. 3. Elvis’ Father, Vernon Elvis Presley, spent time in jail (note: he made FULL restitution, did his time, learned from this, and never was in any type of trouble with authorities again) and Elvis recalled how this devastated his mother. 4. Elvis had many ailments as a child including, but not limited to, the following: asthma, chronic insomnia, sleep apnea, sleep walking (and numerous times he just missed being killed by passing cars as he slept walked), acne, and heart palpitations. 5. Elvis was born into, and grew up, extremely poor monetarily. He knew what it was like to go without food, heat, shelter, food, and seeing his parents do everything they could to provide for him and yet they always lived “day to day”. 6. Elvis grew up knowing he was “different” and this affected his social interaction with other children. Fortunately, around the age of 11 his confidence in himself – his appearance – and his abilities increased. 7. Elvis grew up listening to the Grand Ole Opry and he was thankful to have the opportunity to audition for the Grand Ole Opry but he was REJECTED. Elvis never forgot this rejected but he used this as fuel to perform, and record, and he “proved them wrong”. 8. During the height of his fame, and popularity, he was drafted into the US Army (i.e. December of 1957). As he had only been out of the United States once, to go to Canada, he was overwhelmed with the reality of living in another Country. However, Elvis turned down all offers to enter into the “celebrity entertainment” branch of the service (i.e. where he would go to bases/events and sing for his fellow enlisted men) and was honorably discharged from the US Army. 9. Elvis going into the Army had an adverse effect on his mother. She became very sick and was hospitalized in August of 1958. 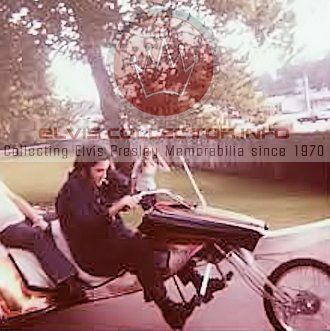 When Elvis was told about this he immediately asked for an emergency medical leave of absence and it was denied. He had to threaten to go AWOL, and to the press, before he was finally granted leave. 10. Upon arriving at the hospital, where his mother was at, her spirits improved. Elvis was exhausted and was told to go to Graceland to rest. Shortly after arriving at Graceland his mother’s condition worsened and she (sadly) died on August 14, 1958 at the age (Elvis believed throughout his life) of 42. However, his mother actually died at the age of 46. 11. During his 2 year term in the US Army he worried about his career and had real doubts about his “comeback”. 12. From 1960 until 1969 Elvis was contractually obligated to make motion pictures/movies. With each passing year, with a few exceptions, the quality of the movie scripts lessened to such an extent that it made Elvis physically sick and bothered him mentally and emotionally. 13. Elvis was offered, by Barbara Streisand, the costarring role in the remake of “A Star Is Born”. Elvis was excited to act in a real movie with a great script/cast. Colonel Parker was unable to reach an agreement and Elvis was devastated. 14. A song entitled “I Will Always Love You” was brought to Elvis and he loved the song and wanted to record it. This song was written by Dolly Parton and later made infamous by Whitney Houston. Similarly to what happened in “A Star Is Born” Colonel Parker was unable to reach an agreement. Elvis had felt, starting in 1972, that the lack of quality songs he was being presented – and thus able to record – bothered him immensely. 15. When Elvis’ wife, Priscilla, told Elvis that she was moving out of Graceland and wanted a divorce he was overwhelmed with emotions. He, at first begged her to reconsider, and then when he found out she was “seeing” another man (i.e. Mike Stone who Elvis had paid to be her Karate instructor) he was…furious. The hurt that Elvis endured, knowing that his marriage had failed and this his beloved daughter Lisa Marie would grow up without both of her parents being in love/happy/together/married/etc. (literally) broke his heart and adversely affected him every day thereafter. 16. Starting from (about) 1975-1977 Elvis’ finances dwindled when compared to his actual worth and the amounts earned off his recordings, appearances, likeness, etc. Two of Elvis’ oldest friends, who had worked with him for three decades, wrote a book entitled “Elvis What Happened” which disclosed the fact that Elvis had been taking prescription drugs and was addicted to them and in some cases was abusing them. Even though Elvis had very real physical, mental, and emotional medical issues – which took their toll on him in every way (including his moods and weight) – Elvis was angry about this book and feared how it would affect his daughter Lisa Marie (first and foremost) and (secondly) his fans. Note: Elvis loved two of the men who wrote this book and they loved him. It is, was, and forever will be regrettable that they were not able, during Elvis’ lifetime, to work things out and make amends. 17. Being in terrible shape physically, mentally, and emotionally Elvis kept his word and allowed the filming (in 1977) of his life performance. Elvis, who should have been allowed to rest – recover – obtain necessary medical care – obtain addiction therapy – and not be subjected to the monetary/financial pressure of having to perform. Knowing that the fans had heard of the book, and the press was increasingly making fun of his weight, Elvis nonetheless took the stage and showcased his incredibly voice. LISTENING to these songs, even these 35 years later, that Elvis sang on what is known as “Elvis CBS Special 1977” is a estimate to his vocal range and power. However, when WATCHING the video it is hard to keep looking at as Elvis was (sadly) in such bad shape. But, he gave his all to his fans knowing he would be mocked, and criticized, and for that (and all the other great accomplishments he achieved) Elvis should be respected, appreciated, and his life put into context.